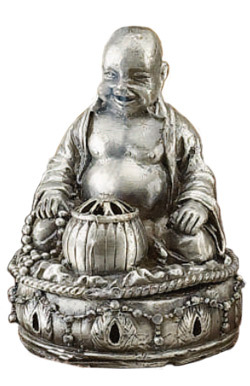 This pewter Buddha incense burner is ideal for burning your favorite cone incense. Place the cone incense inside the Buddha and watch the smoke pillar out. The height of this cone incense burner is 3 3/8 inches making it the ideal cone burner for your cone incense.